In this globalised economy, companies are looking beyond their shores to the labour-rich Asia. We look at how Singapore has positioned itself as an ideal destination for supply chain management in the Asia-Pacific region. 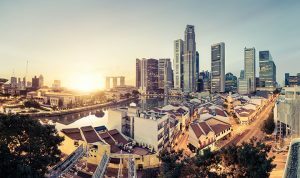 For the tenth consecutive year, Singapore swept up the World Bank’s top rank for its annual survey on the Ease of Doing Business – for many good reasons. After all, the nation-state has transformed itself from a backward third-world country to the reputable financial hub that it is today, with its first world infrastructure, pro-business policies and attractive tax rates. Surrounded by the world’s manufacturing centres of India, Vietnam, China and Thailand, Singapore’s strategic location offers a wealth of opportunities to multi-national corporations (“MNCs”) looking for a reliable regional base from which to manage their supply chain operations. Having recognised this, the Singapore government has put into place various incentives and policies, to encourage more MNCs to base their supply chain operations here. Additional $2 million in annual total business spending in Singapore by the end of Year 3. Companies that qualify accordingly will be able to enjoy a concessionary tax rate of 15% on all qualifying income. In addition, if the company also engages in qualifying activities under the Productivity and Innovation Credit Scheme (“PIC” or “PIC+”), it could potentially also receive tax deductions or allowances of up to 400% on qualifying expenditure, for the first $400,000 of taxable income. This scheme was enhanced recently during the Budget 2015 and re-named as the PIC+ Scheme, where the tax deductions have been increased to S$600,000 per year; and will take effect from YA 2015 to YA 2018. For more information, read our guide on the PIC and PIC+ Scheme. Another alternative is the Global Trade Programme (“GTP”), which grants a concessionary tax rate to foreign corporations who earn income from qualifying commodity derivatives or freight derivatives. Similar to the IHQ / RHQ scheme, this is also governed by the EDB and will have minimum requirements to be met. Unlike many countries in the region, Singapore maintains a neutral stand with regards to many regional conflicts; and various policies have nurtured it into the relatively harmonious society it is today. In addition, it is politically stable and has, over the years, nurtured very strong diplomatic ties with countries all over the world, which has led to the impressive 74 Double Taxation Agreements (“DTAs”), 41 Investment Guarantee Agreements (“IGAs”) and 21 Free Trade Agreements (“FTAs”) / Economic Partnership Agreements (“EPAs”) that it has under its belt. What this means for MNCs is that when they establish their regional headquarters in Singapore, it will be better able to efficiently own and control its overseas subsidiaries, while managing its tax exposure and reducing or eliminating its withholding tax on the repatriation of profits. This is particularly true for U.S. based companies, as the U.S. is one of the few countries in the world that still continues to utilise a worldwide tax system, instead of a territorial tax system, as is the case with Singapore. In a nutshell, Singapore’s existing DTAs with these countries, as well as its own tax-friendly policies, allow MNCs to benefit from leveraging off its infrastructure, user-friendly tax system; and manage tax exposure on their international profits. More importantly, MNCs also often appreciate the fact that Singapore is the only country in the Asia-Pacific whose main language of choice is English, supported by various mother tongues such as Chinese, Tamil, Malay, etc. This is mainly attributed to its policy on maintaining bilingualism and to encourage racial harmony within the nation; which has resulted in a workforce that is not only able to communicate and speak well with foreign investors, but also to reach out to their counterparts in the region. 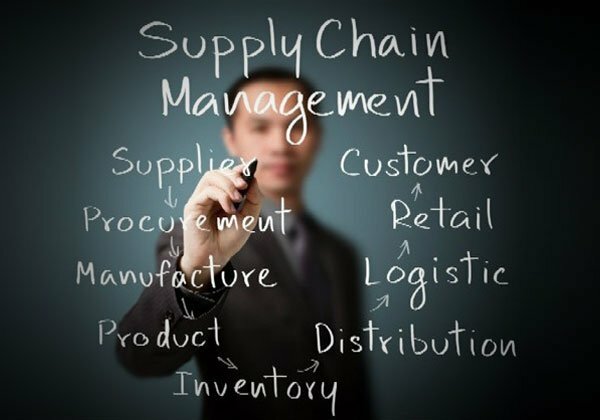 Another factor that MNCs often find to be crucial to their supply chain operations is the availability of reliable and trustworthy logistics support. Notably, at the 13th Supply Chain Awards Asia 2014 (“SCA Awards 2014”) held on 20 November 2014, Singapore established itself as a frontrunner in Asia, sweeping up the awards for Asia Container Port of the Year, Asia Air Cargo Port of the Year and Container Terminal of the Year. Based on the World Bank’s survey on the Ease of Doing Business, it noted that Singapore had on average, a more streamlined process in terms of procedures and documentation required for importation and exportation of goods. More importantly, Singapore emerged as one of the most cost-effective, at US$460 per container, as compared to the regional average of US$864 per container and the OECD average of S$1,080.30 per container. Evidently, despite the fact that Singapore’s quality of life is significantly higher, it still remains extremely competitive. 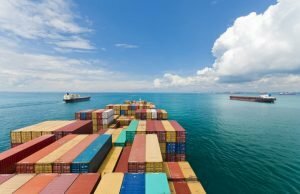 Particularly for companies who deal with perishable goods that have an expiry date, being able to efficiently import and export their goods is of paramount importance. For example, in an interview early this year, a Sydney-based Australian importer expressed his concerns and difficulties when sending his goods to India, noting that “Getting product cleared through Customs once it arrives is the biggest problem we have. We only ship small amounts of frozen product into India because it can take up to 50 days to clear the airport”. In its annual Quality of Living survey 2015, Mercer found that Singapore ranked the top choice in Asia for expatriates. This was largely attributed to various factors, such as its existing infrastructure and high levels of safety. With its small land mass of approximately 700 km2, Singapore has had the advantage of being able to quickly digitize the city, with wireless networks freely available in most parts of the nation. In fact, the Smart Nation initiative spearheaded by the Info-communications Development Authority of Singapore intends to achieve seamless speed surfing throughout the island, “to ensure that everyone and everything will always be connected via the best available networks to serve their connectivity needs at a very high speed, everywhere, at anytime”. Complementing Singapore’s first-world infrastructure is its high levels of safety – riots and violent clashes are hardly ever seen, hence not only do employees of MNCs appreciate the safety, MNCs themselves rest assured knowing that there will be minimal disruptions to its business operations in Singapore. Indeed, for MNCs whose high-level executive employees may choose to bring their families with them, safety does become an important element to consider. In this increasingly global economy where costs are becoming more competitive, MNCs can no longer rely on keeping its entire operations domestic. Singapore, as the jewel of Asia, represents a great opportunity for MNCs to keep close tabs on its regional operations, whilst managing their tax exposure. Planning to extend your regional operations to Singapore? 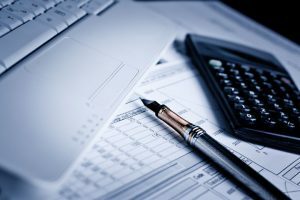 Team Dynamics: Good Conflict Management Singapore is Expected to Overtake Switzerland as the World’s Epicentre of Wealth Management What is Taxable Supply? What is an Exempt Supply?